'This book is the fruit of 15 years of face-to-face interfaith dialogue between practitioners of the three Abrahamic faith communities, Judaism, Christianity and Islam. The focus is on how the dialogue cannot be avoided if we are to build a society based on shared humane values. Theological questions are interwoven with a narrative of how tortured relationships from the past do not have to determine the future'. Theology and dialogue represent the twin tracks for Christian engagement with the rich religious diversity of a shrinking globe. Yet, for much of the time they exist in profound tension. This tension arises because the largely negative history of Christian approaches towards the religious Other is now being questioned by the new information, experiences and relationships which stem from the growing dialogue between religions'. 'Judaism, Christianity and Islam, as Abrahamic religions, share much theological common ground and the momentum for dialogue between them at theological levels has greatly increased in recent decades. This book explores the relationship between religion and the modern democratic state from the perspective of these three monotheistic traditions. It investigates how the three religions in dialogue might overcome their historic antagonism as a prelude to working for the development of the global common good'. 'One of the greatest challenges facing the Church and society today is how to build understanding and co-operation between people of different faiths for the common good. 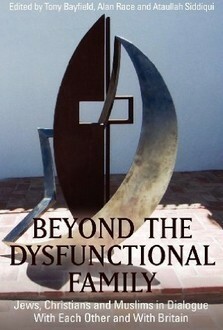 The consequences of misunderstanding and alienation are all too evident - getting this right is both vital and urgent. This innovative book tells the stories of a remarkably varied series of local church and community projects that lay and ordained members of Christian churches have initiated with people of other faiths. The entire process from initial idea and starting to understand different cultural and religious perspectives is described, as are the practical lessons learned and pitfalls encountered along the way. The projects vary from pupils spending a day in each others' faith schools, multi-faith hospital, hospice and prison chaplaincy, much sharing of food, hospitality in each others' places of worship and more. This is practical theology and faith dialogue in action. 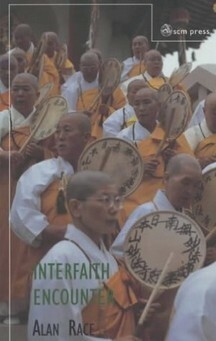 The book concludes with a simple guide to the conventions and terminology of other faiths'. This is a book within a beatifully produced series that is designed to foster enquiry and awareness of a variety of faiths, aimed at 9 to 14 year olds particularly. The author of this book uses her insight gained from two visits to India and several interviews with Hindus living in Britain to focus on the central elements of Hinduism. Topics covered include Hindu beliefs, Gods and Goddesses, worship at home and the mandir, festivals and family events, pilgrimage, India today and Hindus in Britain. Other books in the "Words and Pictures" series look at Christianity, Islam, Judaism and Sikhism.